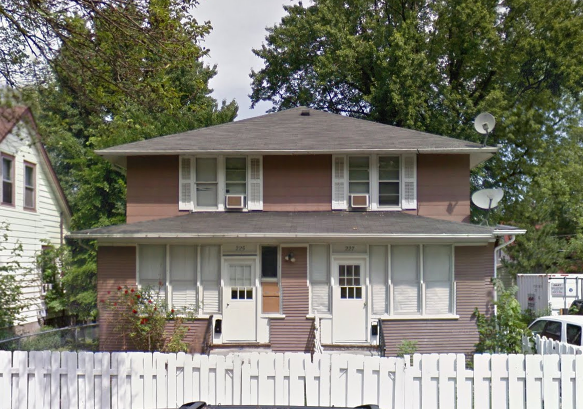 Classic Side by Side Two Story Duplex in St. Paul! Classic side by side two story duplex on St. Paul's West Side. Offering 1376 sq. ft. and 3 BR's on each side. Hardwood flooring throughout with natural woodwork a separate dining room with built in buffet and large eat in kitchen. Laundry in each unit. Tenant responsible for lawn/snow care. Consideration included in the price of rent. The advertised rent price DOES NOT include $15/month required enrollment in asset protection program, which protects the property against unintentional tenant damage. Tenant may also purchase renter's insurance separately. $100.00 non-refundable lease administrative fee due at time of security deposit payment.